The Times, the News of the World and the FT all now have content behind a paywall, although the latter does make some content freely available. 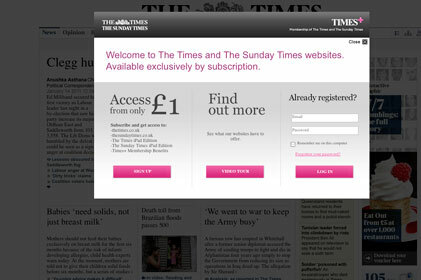 Until paywalls in their entirety are viable, 2011 could see media firms experimenting with different levels of paid-for content, such as the FT's model. Bell Pottinger's Read says readers may feel better about paying for content if other readers do the same.